View case studies where PARTICIPOLOGY has been used below. Workshops with Geography A level students looking to develop a game board to deal with their studies and curriculum with a wider view to making it a national school resource. 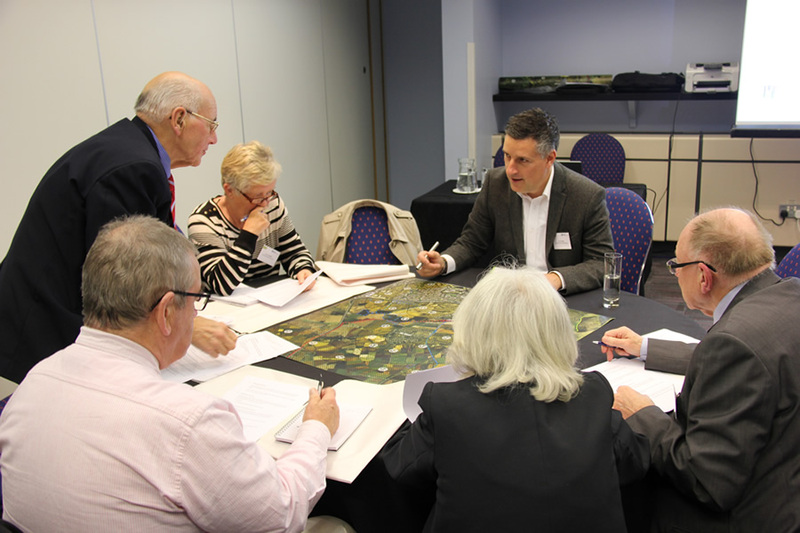 Alister Scott from Birmingham City University (BCU) and Rob Matley from Queen Mary’s Grammar School facilitated two workshops enabling the board to be designed and populated with questions,and a draft game to be played. Tasks associated with different question spaces were allocated to different tables with questions designed according to a set goal. The goal related to the need to understand contested issues around the rural-urban fringe, which affect the sustainable development agenda. This was translated into specific entry and end tasks. Workshop 1 (October 2015) involved designing some questions around the board, based at Queen Mary’s Grammar School. Issues associated with the PLAY mode were also discussed. Workshop 2 (December 2015) was at BCU and involved interaction with planning students to build and develop a full set of questions. After the workshops, all of the questions were merged into one document and then a game was played. Time limited question verification but the end result was very positive and has wider application as a resource for all schools. Read more detail in the evaluation document below. 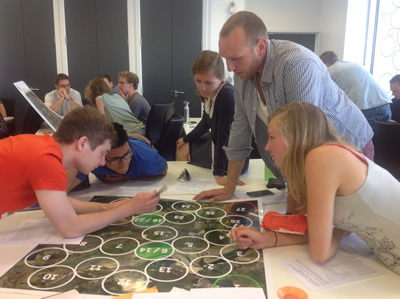 Use of the game board format with school and university students to engage them with planning issues and the board game concept. Read more in the report below. This was a workshop with a group of international sustainability students looking to develop a game board reflecting adaptation to climate change. Staff from Birmingham City University facilitated the workshop, enabling the board to be designed and populated with questions. Tasks were allocated to different tables, with questions designed according to a set goal. Read more about the workshop and the board/questions in the report below. 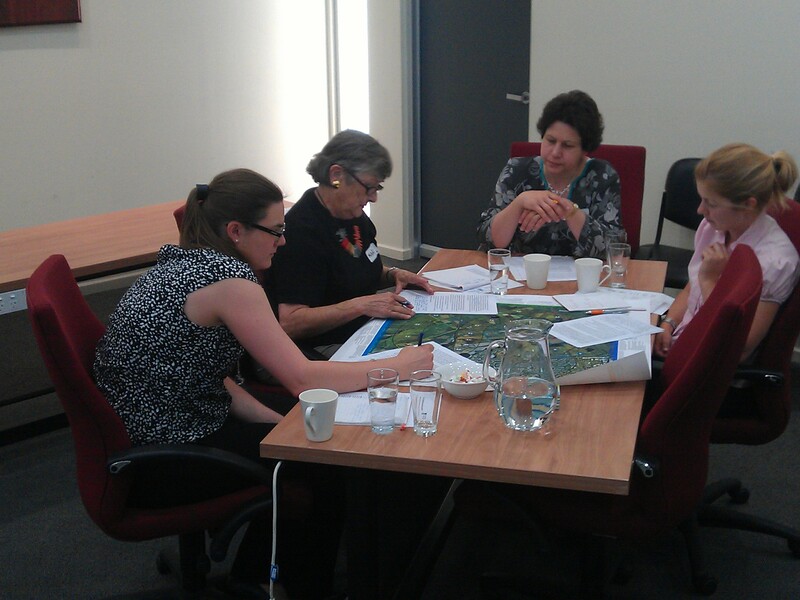 A workshop held in late 2015 to discuss strategic planning in the Barossa Valley and evaluate the PARTICIPOLOGY game board format. 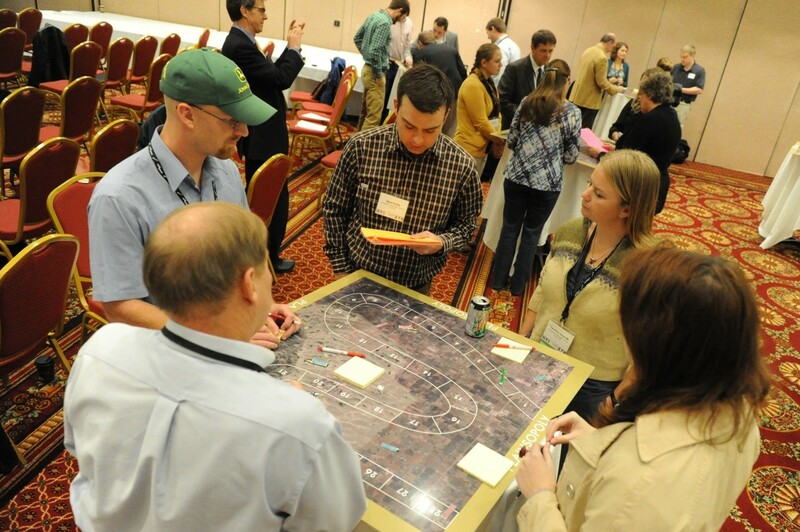 A version of the game was played with scenarios relating broadly to significant, contemporary planning issues in the region. Participants included representatives from planning, regional development, industry, commerce, education and the general community. The workshop was conducted around five tables, each with a facilitator and four 'players'. PARTICIPOLOGY resources were used in Flanders as a visionary tool to derive plans for the future development of a specific area. The board used a real picture and the questions were based on real problems and opportunities in the area. Download the PDF to see the boards and learn more. 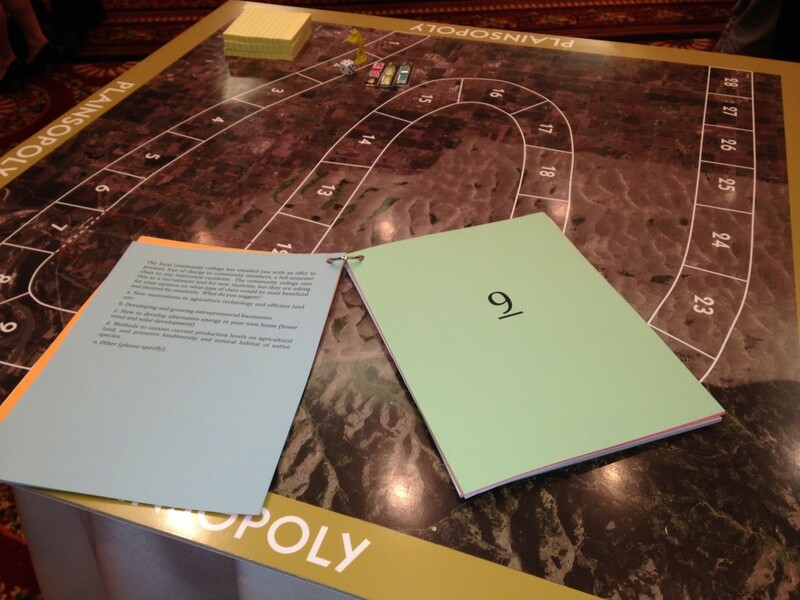 Use of the game board format to engage researchers with communities, to address issues related to rural development. Watch the short video below for an overview of how the game board format was used. A series of ten workshops with 5-40 participants per session. Participants included students, farmers, representatives of the farmers' association, local planners and politicians, local entrpreneurs, researchers (planning and agriculture). Watch this short video to learn more about the experience of playing the game ('Rufopoly' is the previous name given to PARTICIPOLOGY). This case study shows how a board was developed for a one-off workshop as part of the Politicians in Planning Network (PIPA) annual meeting. The board was developed by Paul Gibbs (David Jarvis Associates) and Alister Scott (Birmingham City University). The original Rufopoly board was used and questions were adapted from a previous adaption of Rufopoly from the Greater Birmingham and Solihull LEP game of growth - see http://www.slideshare.net/AlisterScott/gbslep-playing-the-game-of-growth. The game was played using two tables of five participants. Each table was given half the questions and asked to verify and validate them according to the goal of the workshop on understanding the ingredients for successful growth and regeneration. Here, changes were made and in addition respondents were asked to design one question each (two bespoke questions drawing on the morning session). The questions were read out and answered by respondents putting down their immediate reaction and sharing it with the group and then moving on to discuss it for about 10 minutes. There was an attempt made to seek a consensus on the question with the overall answer and supporting justification recorded. Participants also recorded their own views. The power of a game board format was recognised with the dice proving a useful randomiser. The structure of the debate allowed everyone to chip in at the start which enabled a dialogue to ensue. 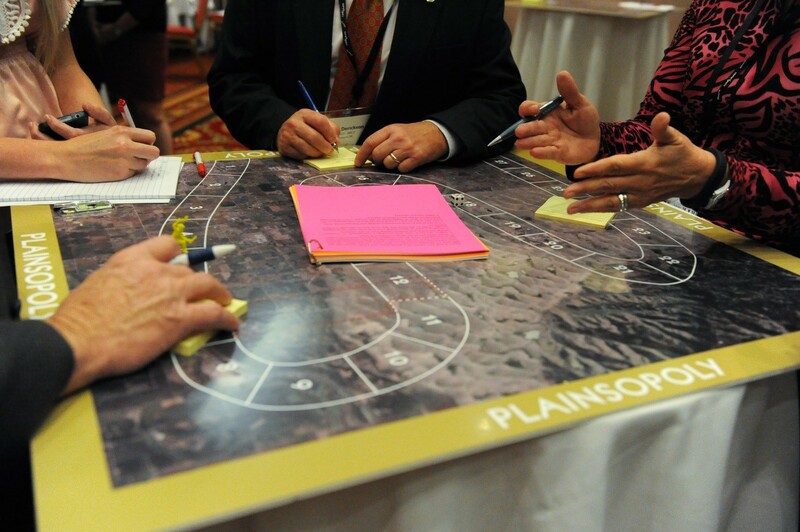 Of particular importance here is how you can adapt a conference setting to include a game board exercise drawing on the material from a morning session. Using previous questions is also useful but particpants valued greatly the ability to verify and validate the questions with on table in particular changing questions to reflect their specific needs.